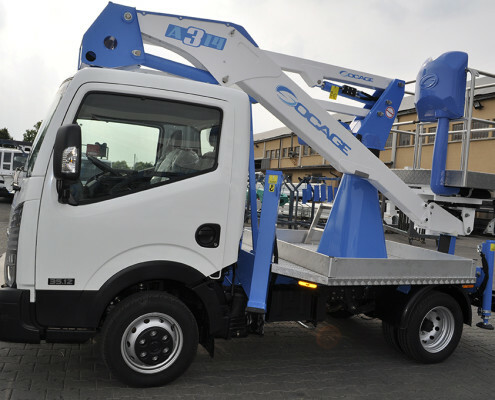 A314 installed on Nissan Cabstar or Renault Maxity truck is an articulated aerial platform developed for the rental industry without operator. 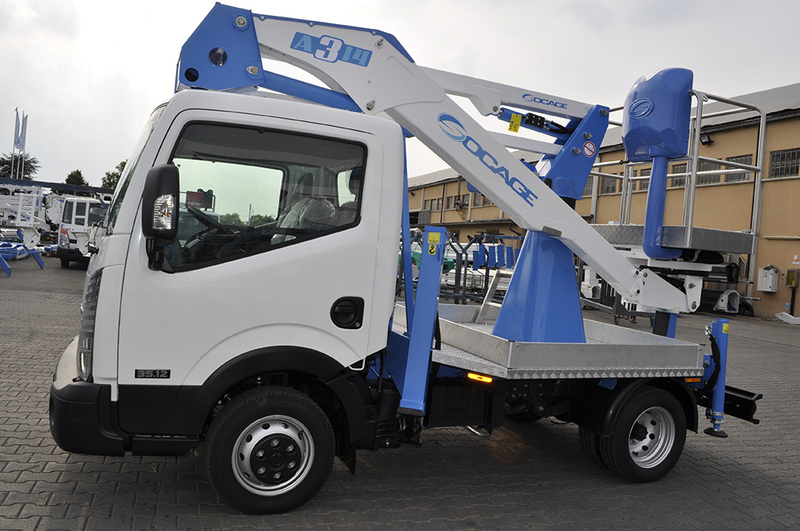 Able of a maximum working height of 13.7 m and a maximum outreach of 7.1 m, the A314 has got a safe working load (SWL) of 225 kg (2 operators + tools) unrestricted. The within the mirrors stabilization system minimizes the footprint of the platform and allows to place the vehicle in a normal car parking without invading the road. The compact size is certainly a strength of this model. As a metter of facts, measuring just 4.5 m in length it is comparable to a station wagon car.